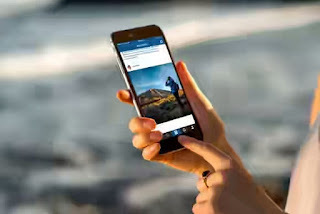 For quite sometimes now, it really has been difficult downloading Instagram videos and Photos, i recalled some months ago when i was busy looking for a way to save a particular video from Instagram. Am glad to announce to you that you can now save those lovely photos and videos directly to you phone. >>>> First you will have to download igetter or Instagetter by click here same as heading to Google play store. 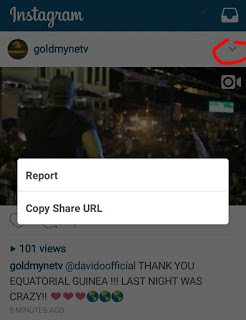 >>>> Launch your instagram app, and locate the video or pics you want to download. >>>> Get the url of his video or pic by clicking on the right hand corner. >>>> Launch the igetter app, copy the url into the app. The igetter app will check the url and if it is valid, it will bring out the link with original picture or video of the url. >>>> Tap download and it will immediately start to download but first you must choose your desired folder to save the video or photos. Note igetter is not just for instagram videos as you can as well use it to download YouTube videos or any link you have. Just as simple as ABC, This is how to download instagram videos or photos on your device.